1001 photo effects: select a photo -> select an effect -> send to friends -> done! 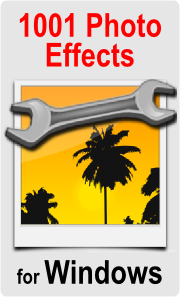 Navigate fast through all effects by using example images. Test an effect on the real image using the preview function. Quickly access your favorite effects by adding them to your personal list. 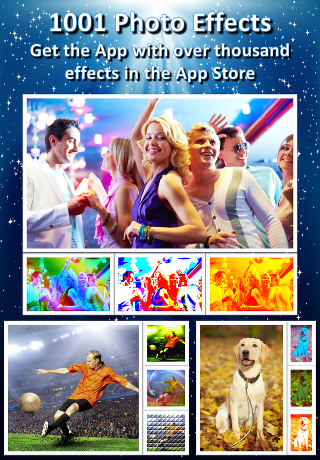 Share your effect images on Facebook, Twitter, Instagram, Google+ and other social nets. Send an email with the image attached to it or save it in your photo album.